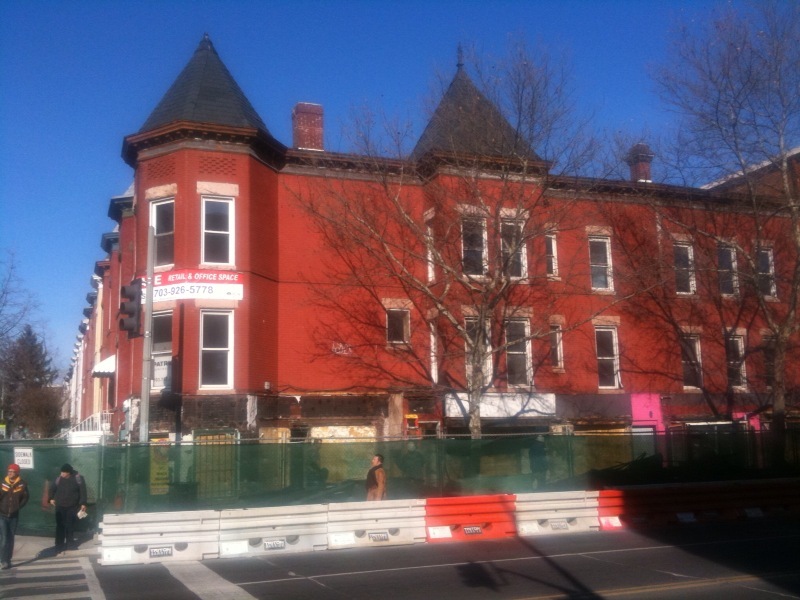 Seems like there’s some construction on the facade of the building at the corner of 13th and U, where Pink November and George’s Shoe Repair used to be. As I walked to the metro this morning they were ripping down the pink and white awning of the old Pink November store. I take this as an indication that whatever is coming there might be one step closer (which I wrote about nearly a year ago), as I’m in a good mood this morning. Thanks so much, reader Kevin for sending in the photo! Didn’t have my camera with me, but I noticed that Pink November has reopened in a storefront on 16th and U. They seemed to have had their grand reopening yesterday, as they had plenty of pink balloons to mark the occasion. I tried going on their website to find more information, but it appears to either be not working, or gone. I’m glad they were able to find a new place to open on U street, I always enjoyed walking by their old storefront and drooling at pretty dresses that I couldn’t afford.